Alessio Follieri: AL TEATRO QUIRINO EVENTO LETTERARIO INTERNAZIONALE. Authors from the U.S.A., from across Africa, New Zeleand, Italy, Great Britain, and Japan, will unite at this event. Those awaited on the presence list are: William J. Riegler, born in Kentucky and living in Japan, writer of "Living My Ecstatic Life," Rosemary Kwenda, the Zimbabwe-born author of "I Survived," and Esther Austin of the U.K. In addition to those names, Egyptian author of "Couch Traveler in Iran," Amr Badawy, and Texans co-authors of "Living Legacies" Cynthia and Keith Green as well as talented violinist Jeremy Green, are amongst the awaited. Others expected there are Rome author of "Ti racconto di lei" Alessio Follieri, and Federico D'Alessandris’ rock band Lartefice. 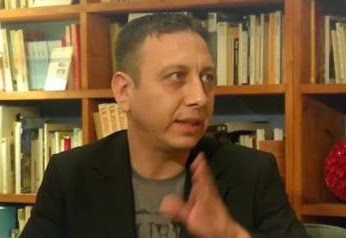 Morocco-born and Italian Parliament member and author of "Da Tunisi a Instanbul Viaggio nella primavera mai raccontata," on. Souad Sbai, and the New Zealander Zimbabwe-born author Gertrude Matshe, author of "Born on the Continent-Ubuntu," will also be in attendance. Event attendees can indulge into the festivities’ many aspects such as book launches, awards, music, dancing, and cultural celebrations. and Alessio Follieri as Art Director of this event.